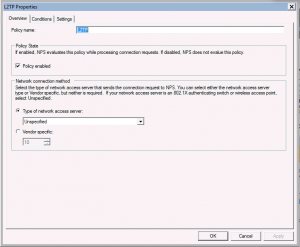 Setup your L2TP/IPSec server using local accounts first. 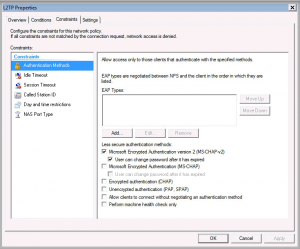 Head on over to the Server Manager on the Windows 2008/2012 R2 Server that you would like to host the NPS role. 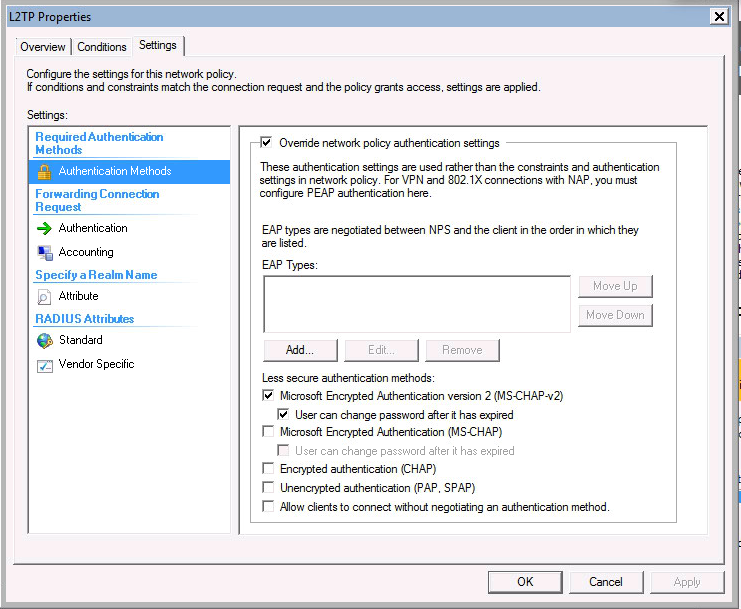 This assumes that you have a full Active Directory domain setup. 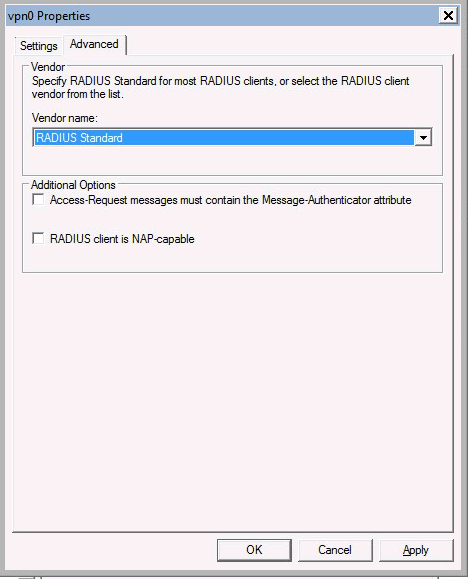 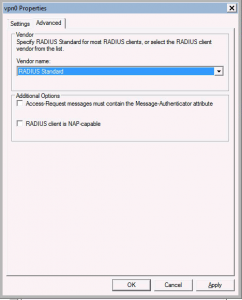 Once you have the NPS role installed, head on over to Radius Clients to add a new Radius Client. 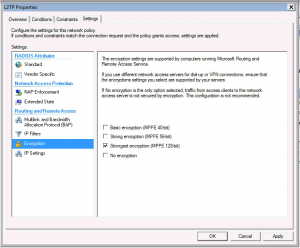 Replace x.x.x.x with the internal IP address of your VyOS/EdgeOS device. 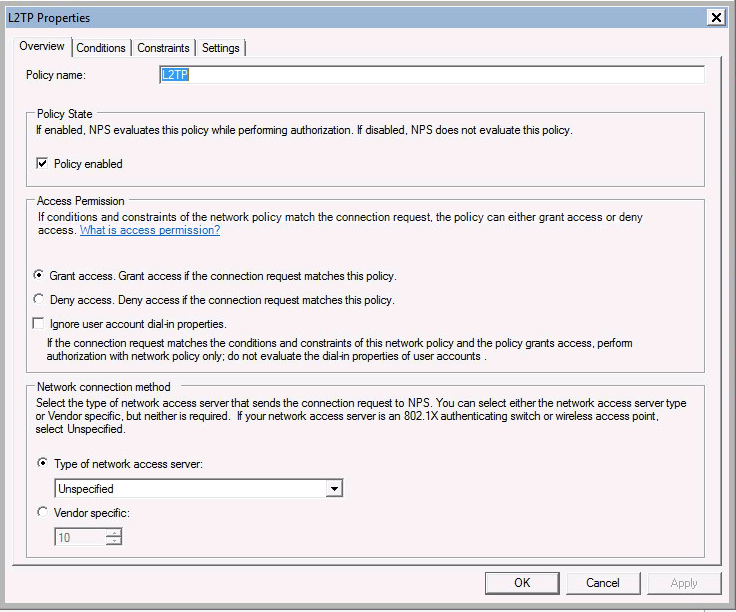 Add new Connect Request Policy. 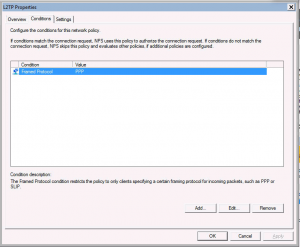 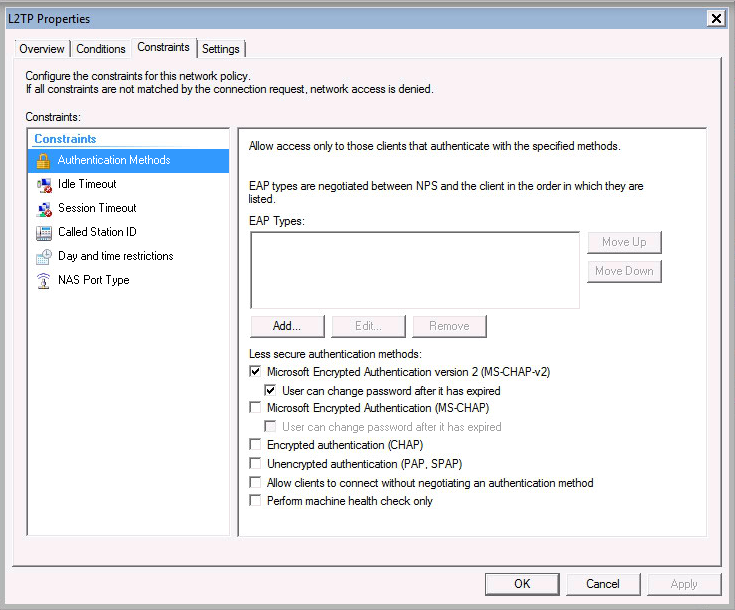 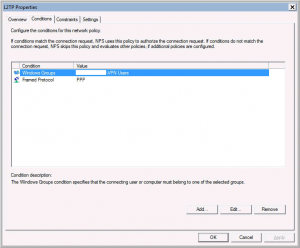 Use the following details when creating a new Connection Request Policy. If you don’t see the setting in a screenshot, keep the default settings. 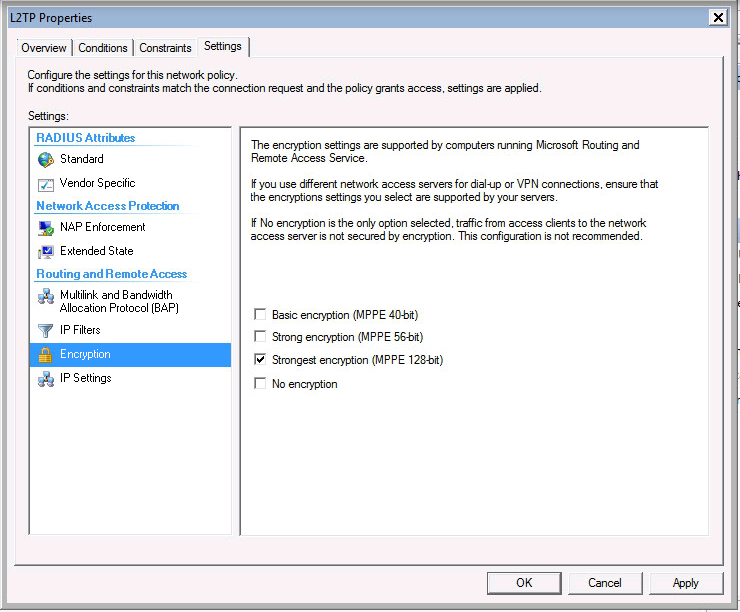 The following details will help your EdgeOS/VyOS device authenticate correctly. 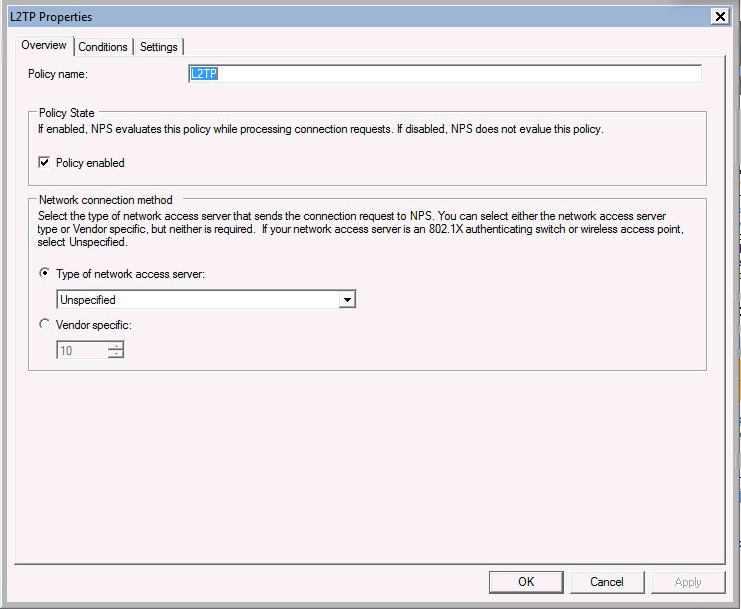 If you don’t see the setting in a screenshot, keep the default settings. 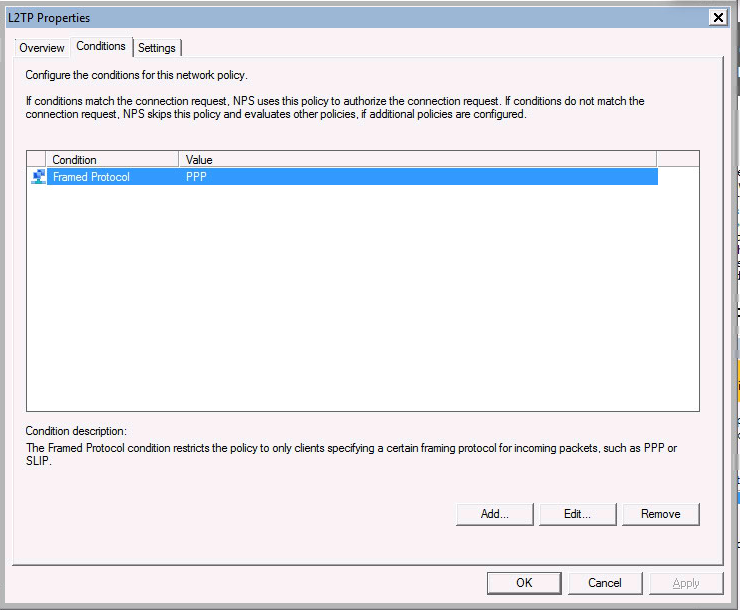 Feel free to leave a comment if you feel like something isn’t right or not working.